A brain aneurysm can hit anyone anytime. If you smoke or if you are chronically hypertensive, get yourself checked. It's better to be safe than sorry. 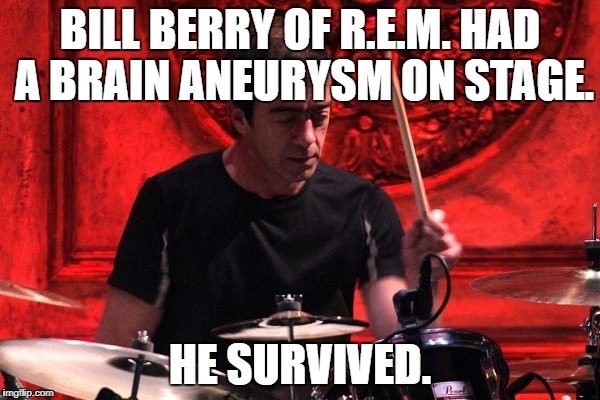 BILL BERRY OF R.E.M. HAD A BRAIN ANEURYSM ON STAGE. HE SURVIVED.